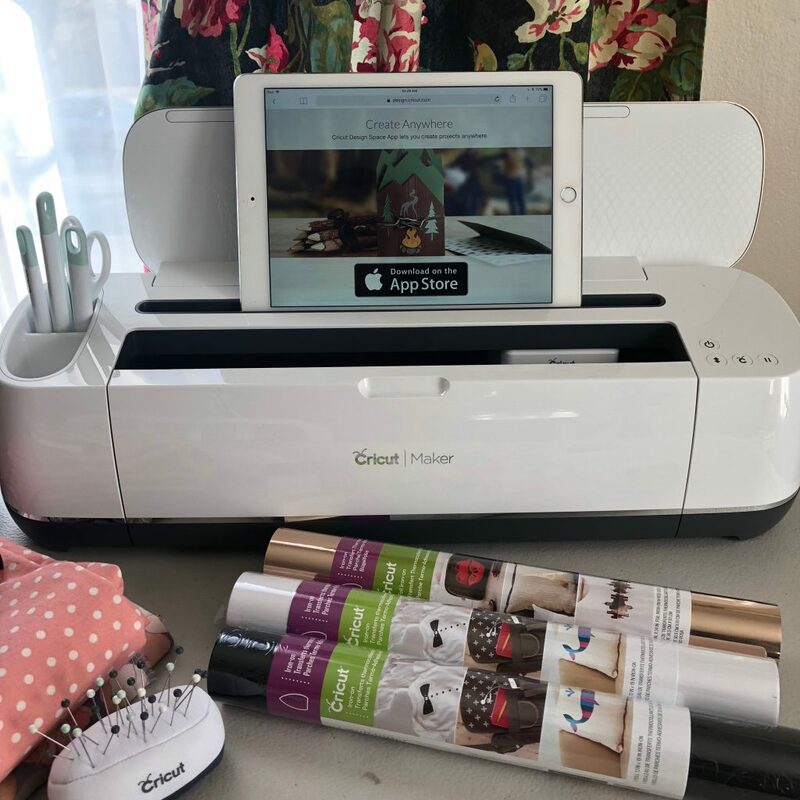 Introducing the Cricut Maker! 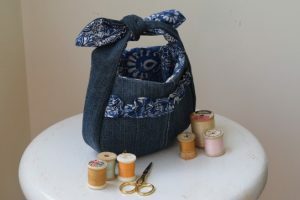 I am so excited to share this with you, it’s a must have for your sewing room. This one machine will completely change the way you sew! There are lots of great features that you will love! Here’s what you need to know before making a purchase. 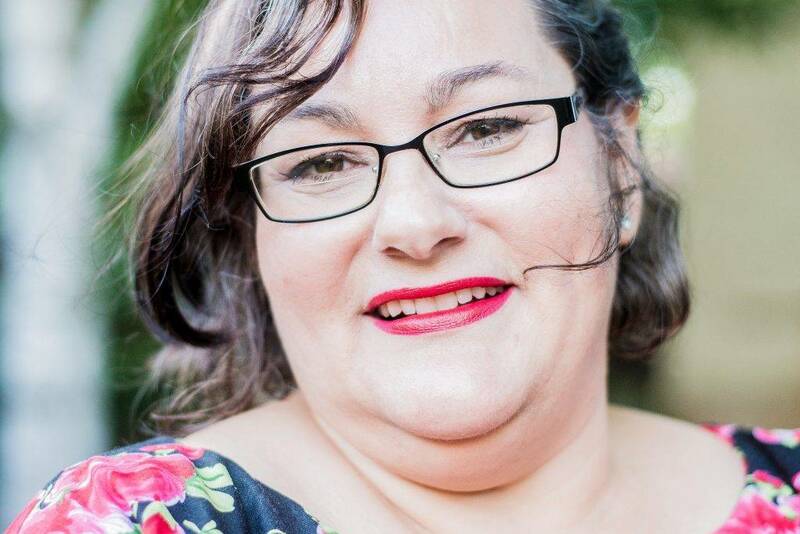 I have been looking at machines for a long time, comparing different features and contemplating what I would use them for in my creative business. Each model Cricut machine does so many different things that I had a hard time choosing between them. It was hard to know which options would be best for me and exactly how I would use them without first trying out the machine. This post is sponsored by Cricut, I was compensated in someway for writing this post. Any opinions given are completely my own. One of the best features in my opinion, is the ability to design with Cricut on my Ipad. There are a couple of Cricut Machines that do this but I still wasn’t sure how often I would use them. It seemed like most reviews I read for the machine were used for cutting Heat Transfer Vinyl (or HTV as it’s known), cutting paper or cutting plastic for making stencils. Since I haven’t used a lot of those materials in my creative business, it just didn’t seem like the right fit for me. 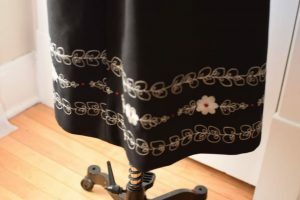 Recently, I stumbled across an online video from one of my blogger friends of the Cricut Maker cutting entire sewing pattern pieces. 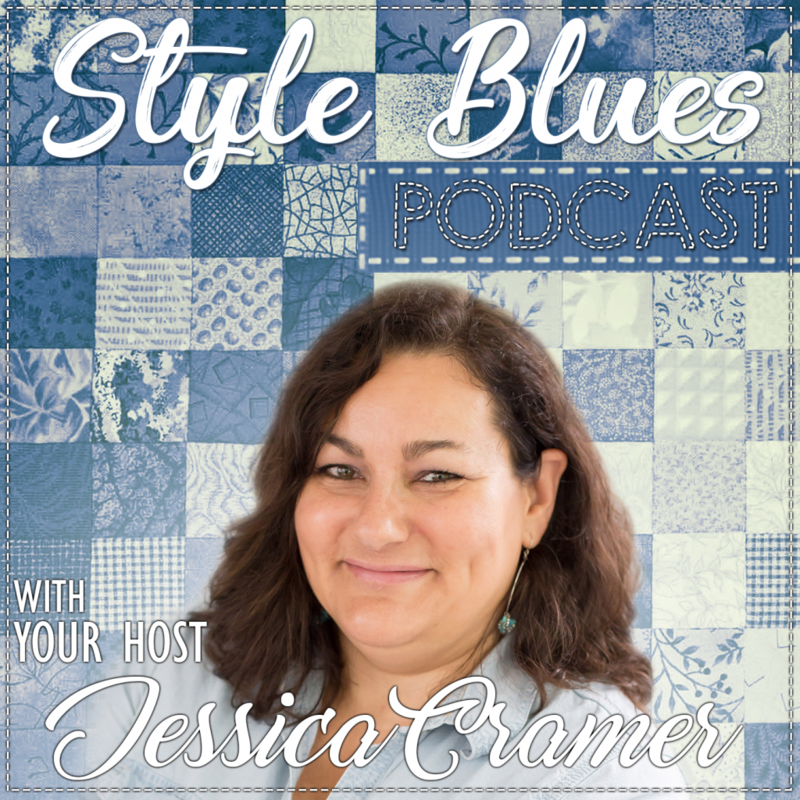 This was a total game changer for me, and I knew that I would use the Cricut Maker tool a lot in this manner! I couldn’t wait to get one and start making projects! Excitingly, the folks at Cricut chose me for their Maker campaign. Thank you Cricut! Being new to this type of equipment, I was pleased to find out how easy the machine is to use. It only has 2 cords to plug-in and takes minutes to set up. The blades and supplies can all be stored right with the machine, another huge plus since I am organizationally challenged. Especially helpful is the color coordination of the pieces. 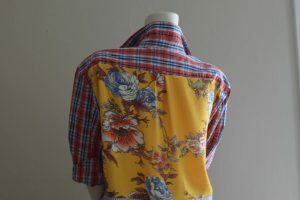 I can tell by the color which pieces go together and exactly what they cut. Everything comes labeled and is easy to read. This makes set up so easy! Cutting mats for each type of material. The cutting mats come in different colors as well. There are different mats for each type of media such as printer paper (Lightgrip), cardstock (Standard grip), or fabric and leather (Heavy grip). The mats have an adhesive that keeps your materials in place while the blade is cutting for the most accurate precision. It’s easy to remove the material after cutting. 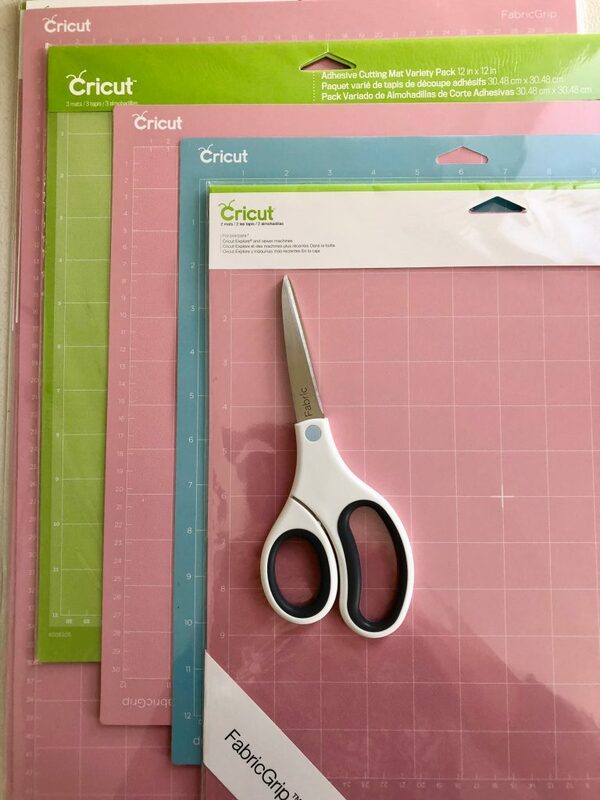 Cricut also supplies handy tools for precisely lifting your cut design off the mat. They have thought of everything! Sewing tools and supplies for using the Cricut Maker. Cricut also has basic sewing tools to accompany your Maker Machine. 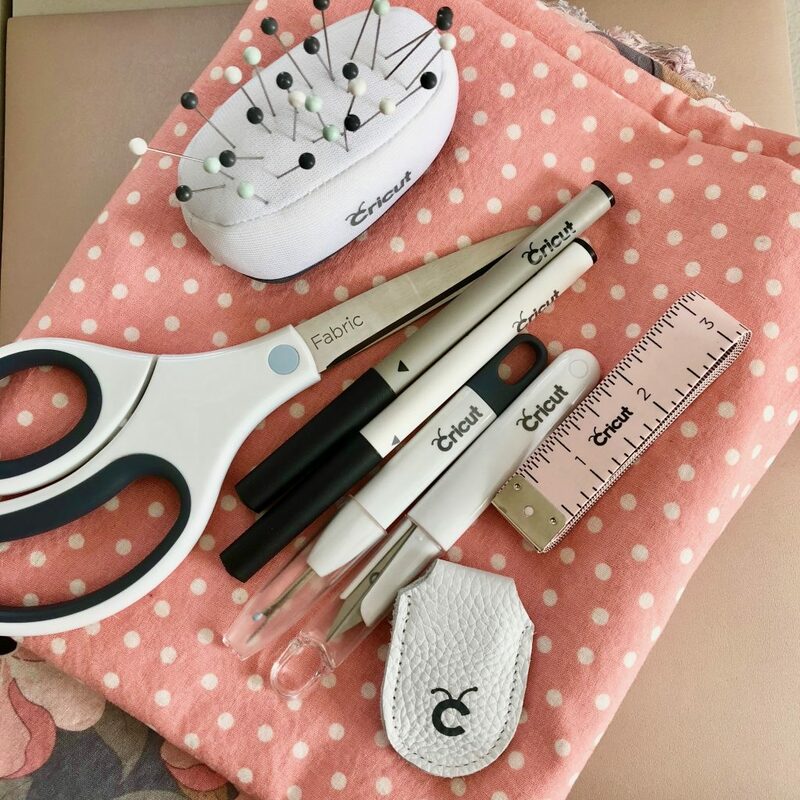 These are great for beginning sewers and it has all the basics: fabric scissors, tape measure, leather thimble, pin cushion, pins, seam ripper, thread clippers. They also have a variety of marking pens. I love that they all match and look lovely! There are a lot of things you can make with this machine, but the most exciting is that Cricut has a partnership with Simplicity patterns. 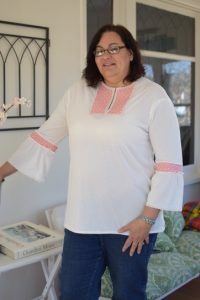 There are a number of Simplicity patterns that you can download from Cricut’s Design Space right to your Cricut Maker and cut. Imagine! 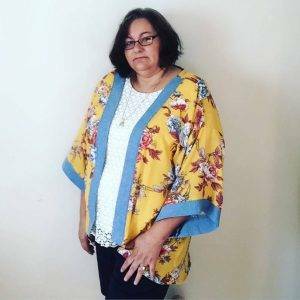 Obiviously, there are some limitations since the cutting area is only so large, and the fabric size is limited to the size of the cutting mat. But it is amazing how this technology is possible! There are also quilt block patterns available! 6. Bonded Fabrics such as craft felt, web or fleece. 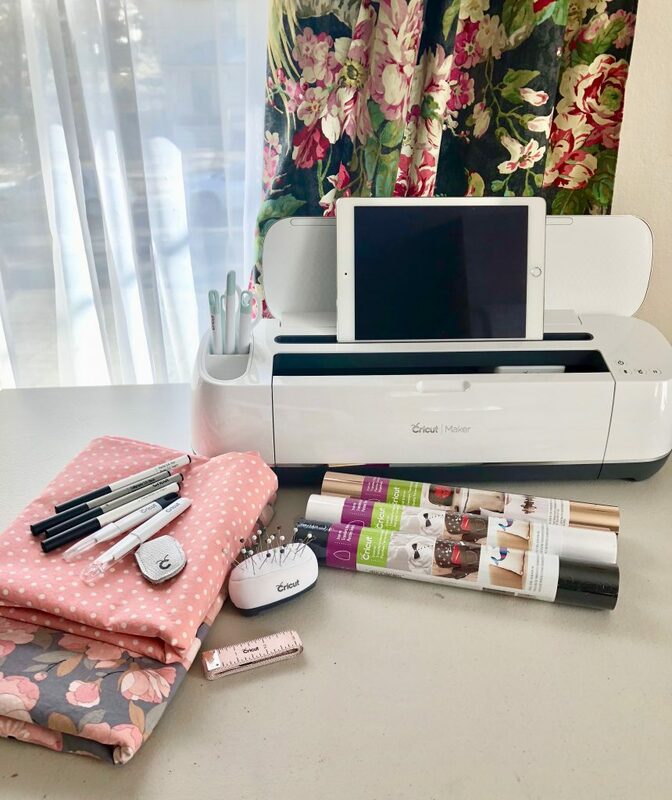 The Cricut Maker cuts fabric, HTV, paper, just about anything! I will have my first project will be ready soon! 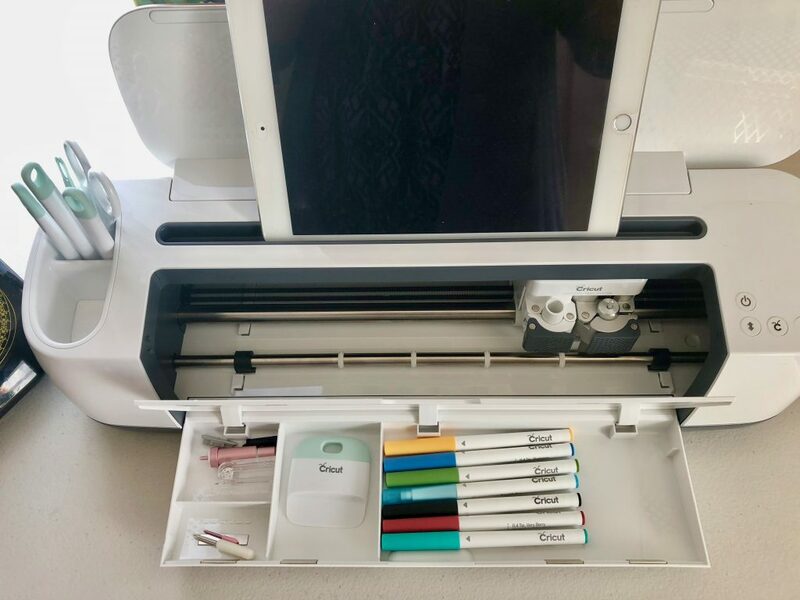 Have you used the Cricut Maker? What did you make? I would love to know! 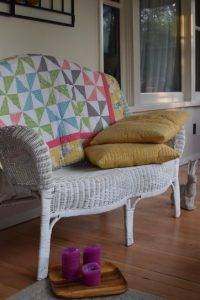 You can share your projects in my Facebook Group here.